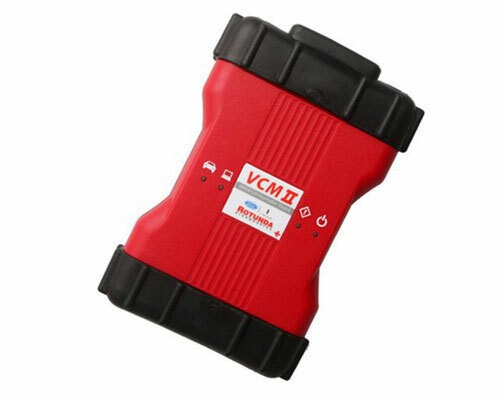 Ford VCM II works with cars Ford and Mazda release till 2013 and newer. 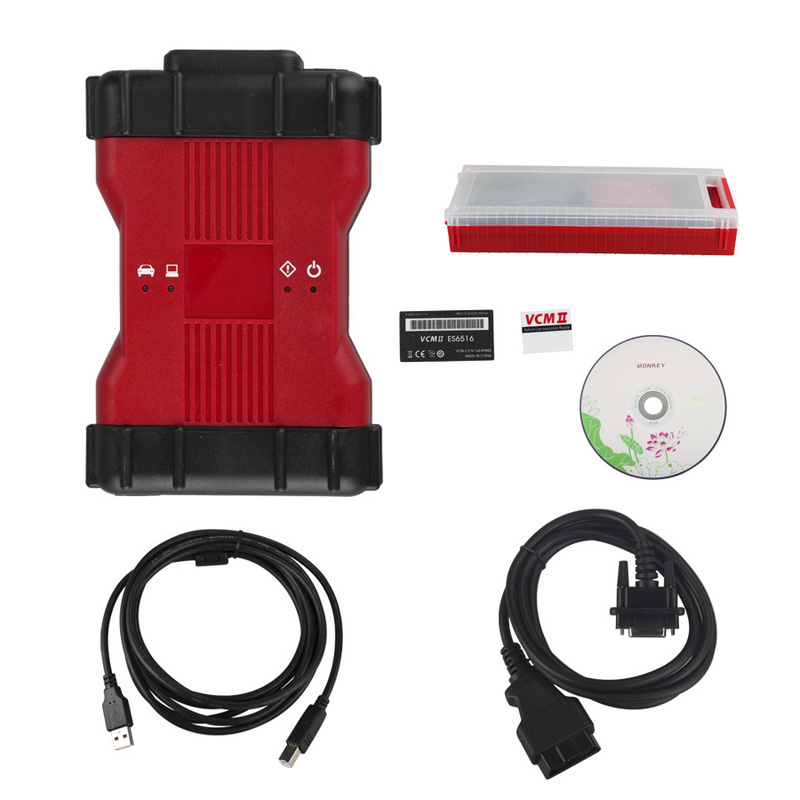 Diagnostic information is transmitted to the computer or PDA through wireless communication (with a Wi-Fi card) without the need to install drivers. For previous generation models based on VCM, the data exchange with the vehicle equipment is carried out via a standard 16-pin DLC diagnostic connector. The scanner is based on the OBDII system. Original software is purchased separately - IDS (Integrated Diagnostic System) for computers and PDS (Portable Diagnostic Software) for diagnosis using a PDA. Reading diagnostic trouble codes (DTCs) and resetting service intervals. Output current or saved system parameters - up to 6 simultaneously in digital or graphical form. Coding of equipment blocks and installation of new ECUs (PCM, ABS, Instrument Cluster, Air Bag, Fuel Pumps). Reading and displaying of fault codes from the memory of the control unit under test (KOEO, KOER and CMDTC modes). Diagnosis of the car with the battery disconnected (via the optional cable 164-R9806). Sharing the tester with the VMM module and the CFR (Customer Flight Recorder) recorder, replacing VDR (Vehicle Data Recorder). Set, adjust or reset speed limits. Automatic detection of car models. Impact resistant magnesium body in a plastic sheath. The IDS program for Ford and Mazda can not be jointly installed in one operating system. It is necessary to install on different Windows operating systems (it is possible on one computer). Power supply 12V, up to 4 amperes. Diagnostic protocols SCP, CAN (High and medium speed), ISO-9141, KWP-2000. Operating temperature from 0ºC to 50ºC (from 32ºF to 122ºF). Storage temperature: -20ºC to 70ºC (-4ºF to 158ºF). 16-pin cable for connection to the car.